Following on from my Archaeology guide (http://wp.me/p34kY5-2p), it’s now time for some fishing. There are loads of good fishing guides, but as with a lot of WoW things, it doesn’t tell you the basics in laymans terms. That’s what I’m here for! You can fish anywhere – as long as the water is deep enough. You could level it all in one place – but this is incredibly boring. This is the boring bit… you cast your line… and you wait. REMEMBER TO TRAIN EVERY 50-75 LEVELS. Pools: these are little nodes where fish congregate, dotted around any body of water – salt or fresh. You’re more likely to catch fish rather than junk grey items, so they’re better to fish in. Weather Beaten Journal: your best friend. This is looted from either a daily reward or fished from a wreckage (floating piles of wood) dotted about in coastal waters. Once you get it, learn it, and turn on ‘track fish’ (the magnifying glass by your mini map). This will show all fishing nodes as yellow dots, making it much easier to see them. You can also loot and buy fishing items which increase your skill, I would really reccommend you equip these as it’s quicker and easier to fish with them. Totally ruins your transmog, but heyho. Again, for an achievement-holic like I am, this profession holds a lot of excitement. It’s also a big – as Mr B would say – “time sink”. You spend hours doing these achievements. 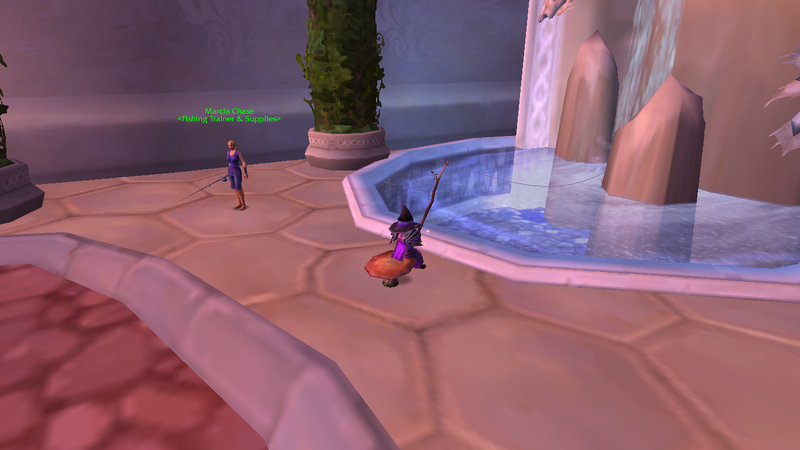 The Coin Master: this involves sitting at the fountain in Dalaran and fishing endless hours for the coins that you can catch. If you get a GOLD coin, throw it back into the fountain. This will give you a short buff which will make it more likely to fish up another coins. You should be able to catch enough coins with the buff to catch other gold coin so you have a continual buff which helps a lot with this achievement. The Lurker Above: in Serpentshrine Cavern. I just like that you can fish up a massive fish and can then kill it. Awesome. Outland / Pandaria (etc) Angler: you know me, I like sightseeing and these achievements gets you out in the world fishing in lots of cool places. Tournaments: search your calendar and wowhead for more info – they’re really fun but I’ve yet to win one! I hope I have enlightened you – happy fishing! Are there any places you find particularly beautiful? As a new player, I found (and still find!) a complete lack of guides for those who don’t understand WoW or MMo language. So, welcome to my guide – I hope you find it enlightening. 1. You’ve successfully managed to download and log in to WoW – phew. First problem, what character, class and realm to choose. Each has their own intricacies, which of course you have no idea about yet. You know what – take a lucky guess for now, you’ll probably want to change later anyway. 2. Horde vs Alliance. I chose alliance because *ahem* the horde looked really ugly (goblins… really?!) but each has their own storyline. I’m not qualified to talk any further on this subject – Mr B will do a post another time. 3. Addon: a complicated techy programme downloaded from various sites to ‘enhance’ your gaming UI. UI: “user interface” or how the screen looks in laymans terms. You won’t have these when you first start playing (of course, these things are never easy!) which means levelling your first character is a hard slog – you don’t know which quests or where to get them from. Get one… or several. Yes, definitely several. 4. Questing. Gah. Pick up a quest, hope it’s the right one, do what it says, realise you didn’t do it right, go all the way back, do it again, hand it in, don’t understand where to get the next quest from, find the next guy after extensive googling, wonder why it won’t let you accept it. Rinse and repeat… for hours. See point 2 for help with this nonsense. 5. Running. You will run. A lot. Stick to the paths and hope you don’t run into the opposing faction or mobs (note: enemies). At 20, you finally get a mount. This joy is shortlived however, as it only goes a bit faster than your feet. At 60 you can fly, which is the best thing EVER. 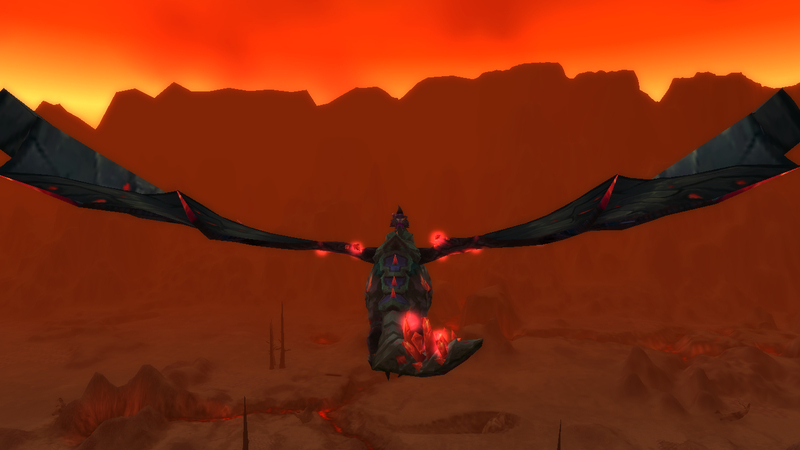 Oh, this stops in Pandaria til level 90, so enjoy it while it lasts. 6. Dungeons. What’s your speciality? DPS, tank, healer? No idea? Neither did I. Need? Greed? Pass? Ha! In a nutshell: a group of players who know exactly what they’re doing, and think they can play your char (note: character/toon) better than you.You get loot, only need the things that are good for your character (get researching!) and greed on everything else. a) DPS: follow the tank, don’t hit anything he’s not hitting, and hope you don’t die. b) Healer: get a healing addon (grid or something similar), shield the tank and hope you don’t let him – or yourself – die. c) Tank: Most who sign as tank know what they’re doing, but still. Follow the map, hit things, don’t let baddies hit your team and hope you don’t die. Don’t let anyone else die. 7. Portals and flight master. Getting around WoW and the various worlds has got to be, hands down, the most confusing thing in the game. I play a mage – with ready made portals to the main cities – and STILL don’t know where anything is!! There are 5 main ‘continents’ (for use of a better word) which you need to navigate between. Each city has portals to different places, some have docks with boats to diferent places, and some – stupidly – you can only go one way. Flight masters go to the various ‘towns’ within each ‘continent’. Each faction has their own major cities etc etc. I’d reccommend writing everything down, then you can have it at-a-glace if you need it. Or wing it, if you live on the wild side. 8. PvP / PvE / RP. Fighting real people / fighting baddies in the game / pretending you’re someone else. All have their pros and cons, try ’em out and see. 9. Guilds. Group of (hopefully) likeminded people to form an allegiance with. Each has their own mission statement (see point 8). You can always leave, so pick one and experiment! 10. Chatting. /w = a whisper or private message. /gquit leaves the guild (see point 9 – a handy one to know I found!). /g talking in guild. /p for talking in dungeons (see point 6). Lots of others, google is your friend! 11. Professions. Things to do to waste your time. I mean, *ahem* earn you gold and level up. Secondary are the ones everyone has (fishing, cooking, archeology, first aid). Primary are your own two choices. Plenty of guides out there and lots of different choices – some are beneficial for certain characters. Go… google! 12. 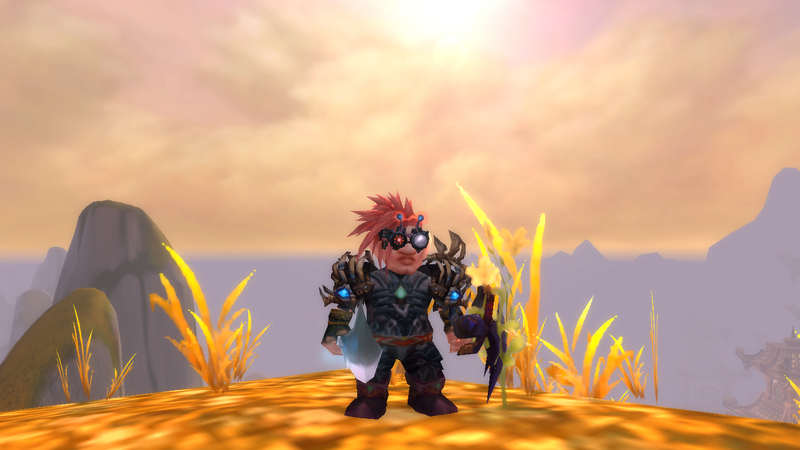 Transmog, reforging, gemming. Totally unnecessary (in my noob-opinion) but really good to do. 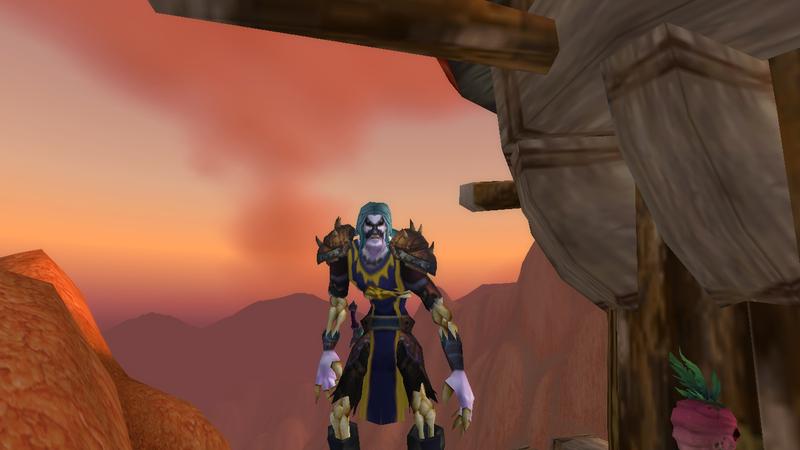 Transmog is morphing your clothes to look like other clothes – e.g., changing the colour. Great for us style-conscious fashionistas out there! Reforging is a world I don’t understand but you can get addons for this which do it all for you – basically optimising your stats on the gear you have. Gems add certain stats depending on their colour: seeing as I get Mr B to do all mine, I’m not qualified to explain. Better to ask a guildie. 13. Acronyms. Oh em gee – too many! Merits a whole seperate post I think – google is your friend! FYI: I wouldn’t ask in trade chat, they can be mean! 14. Achievements… press Y. Lots of things to work on, again, with plenty of guides. Lots of fun with guild members and/or friends. Probably better to leave til you’re higher level and/or not so much of a noob. 15. Ganking. Members of the opposite faction, usually of a higher level in groups, lying in wait and killing you. Again. And again. Very frustrating. One word of advice: do NOT throw keyboard on floor in frustration after the 15th time of being ganked… this does NOT help the situation! I hope I’ve covered most of the things which are potential stumbling blocks. There are many more, but I would need a novel in order to explain. 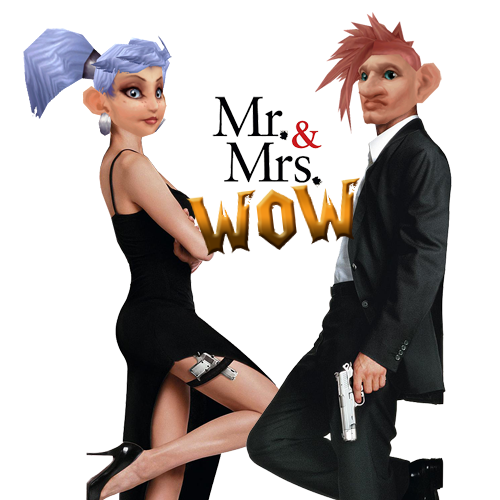 Good luck, and happy WoW-ing!